We all have bucket lists. And while some of the items on those lists are wild fantasies, I’d wager that most of us linger the longest on dreams about the stuff we think we might actually get to do one day. Otherwise, the whole thing is just too depressing for day-to-day life. What I discovered was that racing at the Nürburgring was not only a realistic goal, but also a highly attainable one. 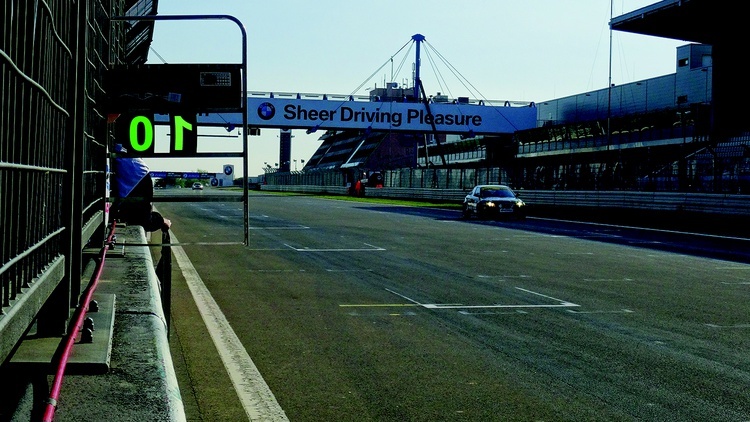 So here’s the bottom line–and I feel like I need to share this right up front, since I certainly can’t be the only one who’s harbored these deep-seated fantasies of racing at one of the world’s great motorsports facilities: If you are a licensed wheel-to-wheel racer in the U.S., racing at the Nürburgring is 100 percent within your grasp. Sure, you may have to skip a vacation or, you know, eat the generic ramen noodles instead of your name-brand ones for awhile, but you’re going to be shocked at how affordable and easy it is to take your racing career overseas. The Nürburgring is a bit unique in the types of events that run there, both because of the culture that’s been created around the circuit and the sheer presence of its historical significance in motorsports history. While F1 and Prototypes compete on the Grand Prix circuit, the highest-profile series that run on the entire 13-plus-mile Nordschleife (literally, “north loop”) are “house” series. These are races that, while using rules from other German and European motorsports series, are essentially Nürburgring-only events and not part of other national series. These include the RCN and the VLN in addition to the 24 Hours Nürburgring, which is a special event of the VLN series. The 24 is obviously the highest-profile event that runs at the track. Competitors include factory teams campaigning in GT3-spec cars with some special modifications (mostly fuel capacity and certain other minor mods) for the event. 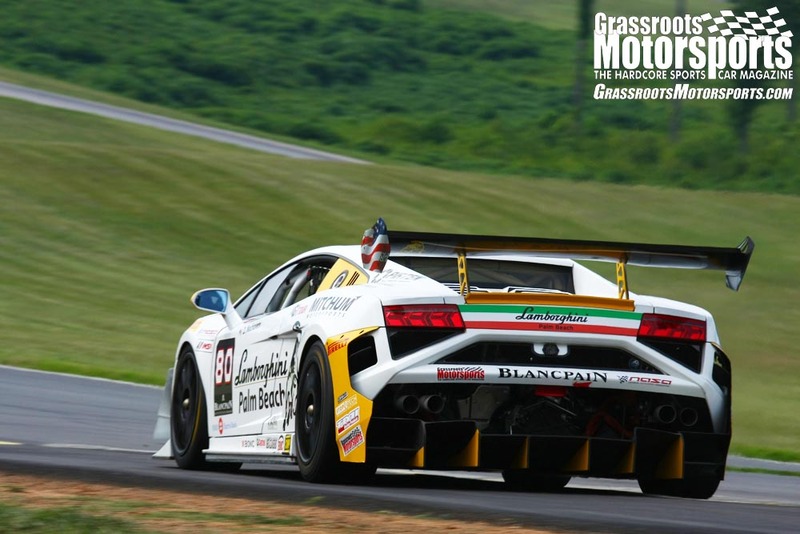 What’s very special about this 24-hour race, however, is that it’s also open to all comers. So alongside the factory GT3 machinery are a host of amateur club racers campaigning everything from pro-style machinery to near-stock club-racingstyle sedans and sports cars. This gives the 24 Hours Nürburgring a personality very much like what you’d get if the Rolex 24 at Daytona and NASA’s 25 Hours of Thunderhill had a baby together. The 24 Hours is the longest of the VLN series of endurance races, which usually run from three to six hours. Drivers hoping to qualify for their first 24-hour contest must compete (and finish well) in a minimum number of VLN series events before they can contest the 24. 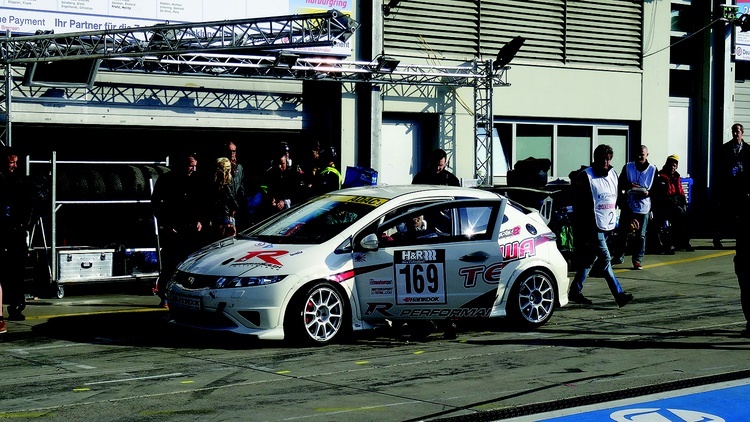 Entry into the VLN series also requires some prior experience, which is where the RCN series comes in. Sort of a hybrid between a club race enduro and a NASA Time Trial, the RCN can be entered by anyone with the required grade of recognized competition license from one of a number of countries. RCN events are contested for time rather than track position, but there are no restrictions on passing. They also require a pit stop, as the distance covered precludes a car from finishing without at least a partial refueling. 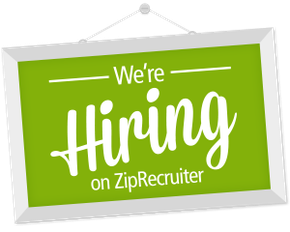 As we mentioned, competing in the RCN requires a license from a recognized source. 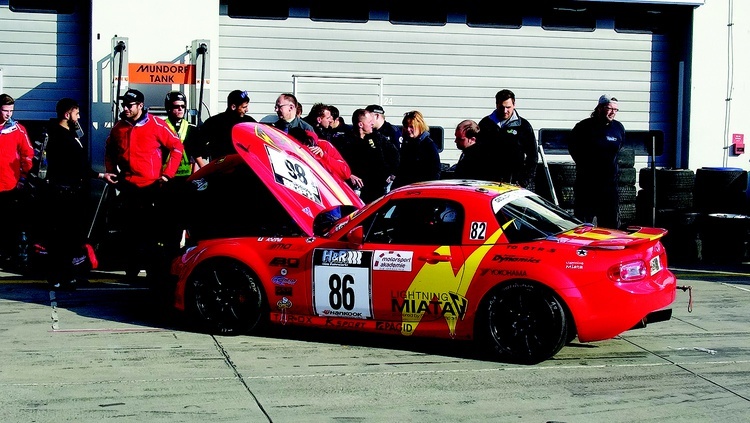 Our path to that source began with Rotek Racing, which can be found online at race-the-ring.com. 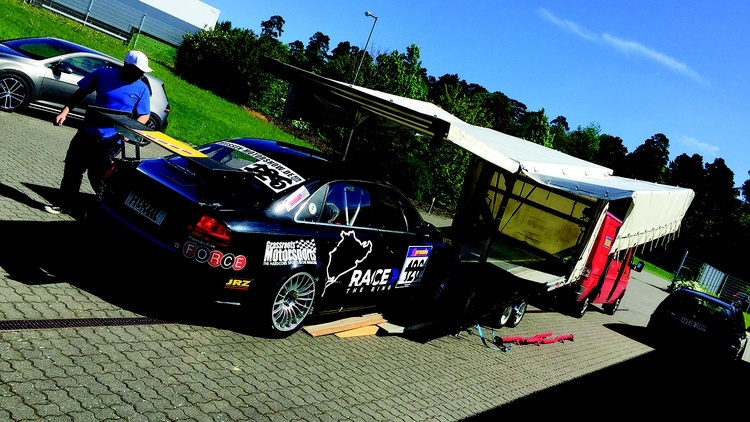 Rotek is the brainchild of touring car racers Rob Huff and Robb Holland, and it’s based right across the street from the Nürburgring in a lovely little industrial park in the town of Meuspath. 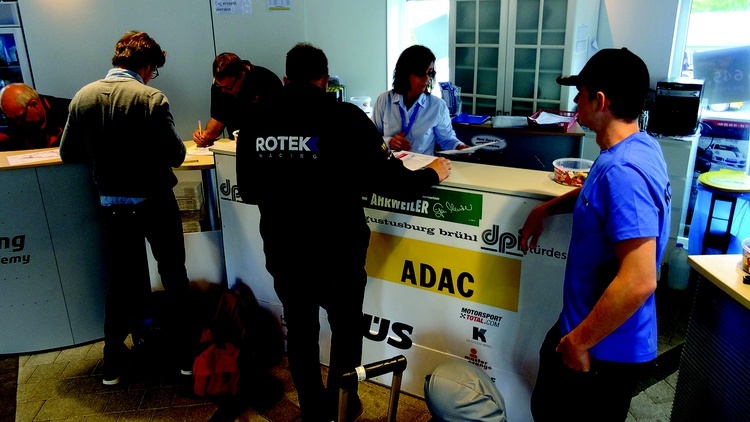 In addition to their own competitive efforts, Rotek specializes in taking Americans over to Germany and sending them through the process to get licensed, approved, and into a car at the Nürburgring in a competitive environment. They’re basically your Mr. Roarke for this particular fantasy. The idea of paying someone to help fulfill your dreams of driving the world’s most famous racetrack might initially sound like an extravagant way to go, but we quickly learned this was more of a necessity. Rotek’s prices are comparable to a Spec Miata rental at an SCCA regional or NASA weekend, and having a “friend on the ground” makes it exceptionally easy, not to mention far less nerve-wracking when it comes to some of the paperwork. So let’s explore what it actually takes to get qualified to race in Germany. First, you’ll need an FIA international license. This is one of the areas where Rotek considerably streamlines the process. 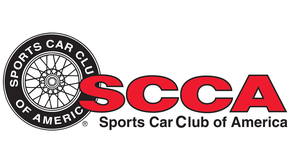 Licensing is easy if you are an SCCA Nationally licensed competitor, and also not too difficult if you are a NASA licensee with some additional résumé fodder. Your regional or divisional licensing steward should have all the paperwork they’ll need for your application, and you’ll have to pay the few hundred bucks to the FIA. The other route–which is probably the preferable one if this is something you’re only going to do once, or occasionally–is the “letter of approval” route. Basically you’ll need a current national U.S. racing license of some sort, and at least one (preferably more) letter of recommendation from a national racing steward. In my case I had SCCA Pro Racing write a short letter detailing my successful competition in the Pirelli World Challenge series, and I had a NASA steward write a letter detailing my successful history with NASA. Supplied letters should be on official letterhead and originals if possible, but we got by with a couple of PDFs (though the officials in Germany did have me plug in my laptop so they could run hard copies for their files). My paperwork was well scrutinized at registration, but the RCN officials had seen plenty of NASA and SCCA competitors in their events before, so this was nothing new for them. Once I was deemed worthy, they gave me a laminated driver’s badge that I was required to wear everywhere, which is a stupid requirement because if you hand me a badge with my name and the words “driver” and “ Nürburgring” on it, I’m never going to take it off anyway. My co-driver for the event, Gilles Neve, had a bit easier time in registration because he was racing on a Swiss national license, which is also an FIA-approved national license. He breezed through with a quick glance at his license, while my paperwork took a bit more scrutiny. The FIA license is the easy button, but letters of recommendation are just as valid even though they may be examined a little more closely. Registration is the first time you will be struck with the realization that what you are getting into is a Big Deal. Even though the RCN is a feeder series for the VLN, and thus very much a “club” racing group like we are familiar with in the U.S., the level of regimentation, standardization and excitement surrounding this event takes it to a whole other level. In my case, the this-is-big moment was partially due to the fact that the RCN event I was running was part of the Nürburgring 24 Hours weekend. Although our event would run Thursday morning as the first competition of the weekend, there were already tens of thousands of campers, fans, spectators, partiers and general car enthusiasts gathered in the woods, grandstands and surrounding areas of the world’s most famous racetrack. Just getting from the parking area to registration required navigating through a huge crowd of other race cars, their crews, and even fans gathered to see the RCN field unloading their competition vehicles. Tech followed registration, and anyone who has ever been through tech in the U.S. knows exactly what that was like: A conga line of cars paraded toward a 10-by-10 pop-up tent in the paddock where scrutineers checked logbooks, safety gear and car compliance. Just like in the U.S., that guy with the Porsche 911 walked away from his car and held up the line while everyone tried to find him. Tech may present an additional challenge for the American racer in Germany for the first time, however: To compete in the RCN, all of your gear must be FIA certified, where U.S. racing requires all gear to be SFI certified. Although much of the premium race equipment on the market today is both SFI and FIA certified, not all of it is. My helmet and shoes were completely up to spec, but my suit–although tagged as meeting the most current SFI standard–was not. A quick call to Race Suit Rental solved this issue. Owner Dave Schaal specializes in outfitting endurance racing teams, first-timers, people shopping race suits and occasional racers with complete driver gear. It’s a cool business model, and even better, all of his suits are FIA certified. 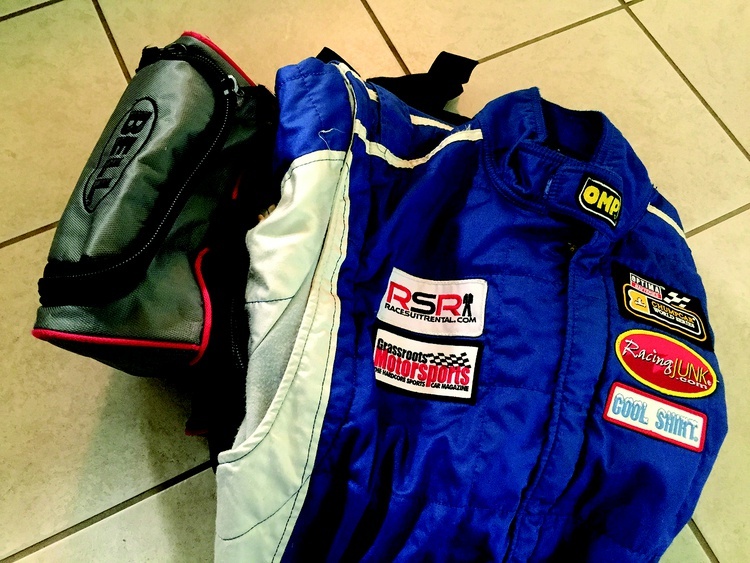 A couple of days later, UPS brought me a beautiful blue OMP suit with an FIA tag on the back of the neck and a Grassroots Motorsports patch on the left breast. The men and women in tech looked over my gear and affixed the proper stickers, double-checked the driver credential now hanging proudly around my neck (where it would remain undisturbed for several days) and sent me about my way with kind words and smiles. At least I think they were kind words; I’m not completely sure, since they were all in German and even some kind German words don’t sound very kind. Race day started early, with a 7:15 drivers meeting in anticipation of a 7:45 green flag. Much like registration, the drivers meeting had a very familiar, only slightly foreign feel to it. The latter was due to the fact that it was conducted entirely in German, which I can read somewhat, but certainly can’t follow when it’s being spoken at full speed through a PA system. Luckily, having attended many drivers meetings in my life, I found it pretty easy to follow along. Gilles was kind enough to translate the important parts for me. 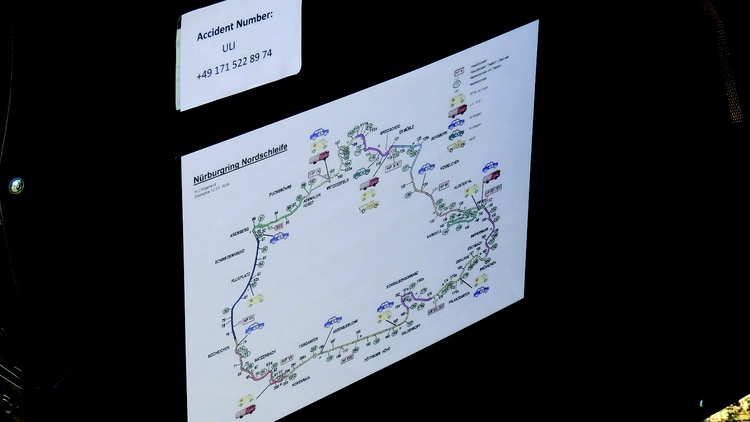 These were the instructions regarding the safety regulations for racers at the Nürburgring, which are unique because of the track’s enormous size and the fact that it’s all but impossible for a pace car to gather a field stretched over 25 km. Unless an incident is so catastrophic as to require a total race stoppage, pretty much any yellow flag at the Nürburgring is essentially a local yellow. But there are various grades of local yellow, from an informative, gently waving yellow flag indicating that there may be a car off the racing surface or a minor incident has occurred, to a “code 60” event, which requires safety car intervention and additional countermeasures to slow and guide competition cars around the affected area. In a code 60 yellow, you’ll see a double yellow flag at the corner station, followed at the next corner station by another double yellow flag accompanied by a sign with the number 60 on it. Typically this is an incident requiring a tow truck, safety car or additional personnel to be on scene, and there will be traffic pylons or marshals guiding race cars around the affected area–even taking them off into the grass if necessary. The speed limit in the affected area is–as the term “code 60” indicates–60 kmh. After you pass the area of the incident, the marshal’s stand will display a green flag indicating you are now returning to a hot condition and racing is again underway. The paddock and starting area for the RCN was the tourist parking area, which lies along the front straight. As this was a 24-hour weekend, we would also be using the complete 24-hour course that would be used by the cars in that race, including its pit lane, which is where any refueling and driver changes would take place. This created an additional logistical hassle because teams would have to get their equipment from the start to the hot pits, which meant going through an incredibly crowded countryside and paddock area choked by throngs of race fans there for the 24-hour weekend. Because of its size and legions of fans, however, you quickly realize that everything at the Nürburgring is a bit of a logistical hassle. Before we sent Gilles off for the start, we talked a bit of strategy. We had no radios in the car because they were being used for Rotek’s 24-hour effort, so we’d use pit boards to signal lap numbers and when to pit. We were the only car in our class, so ultimately Gilles and I were just there for the experience. This meant our goal was to simply go out, have fun, drive fast, maybe find someone who seemed to know what they were doing and use them to help us learn the track a bit better, and–most important–bring the car back in one piece. To his credit, Gilles recognized pretty quickly that this was by far the more realistic and generous offer. Overall, he has the game figured out pretty well. He spent most of his free time over the weekend walking up and down the pit lane soliciting his services as a graduate-level physical therapy student to teams with tired and sore drivers, all the while collecting business cards, making friends and ensuring that his talents as a race car driver will probably not go unnoticed later in his career. As I mentioned before, the RCN is essentially a time trial, but instead of only counting your best lap, all of your laps contribute in some way to your overall score. Generous time allowances are given for out laps, cool-down laps and pit laps, but aside from that it’s hammer down. Cars are sent off single file with a minimal gap between each one. Even then, with nearly 25 km of track to cover, the front of the field is almost within sight of the starting area when the last of the nearly 150 entrants leaves the paddock. This density of cars means that you are essentially always running in some sort of traffic. I’ll freely admit, the hour and a half or so that I waited in the hot pits for my stint to begin was one of the more nerve-wracking times I’ve spent in the pits at a racetrack. It’s just impossible not to look around and see history and significance everywhere. I felt a bit like one of those peewee football players who comes out during halftime at an NFL game to play a couple of downs as entertainment during the break. 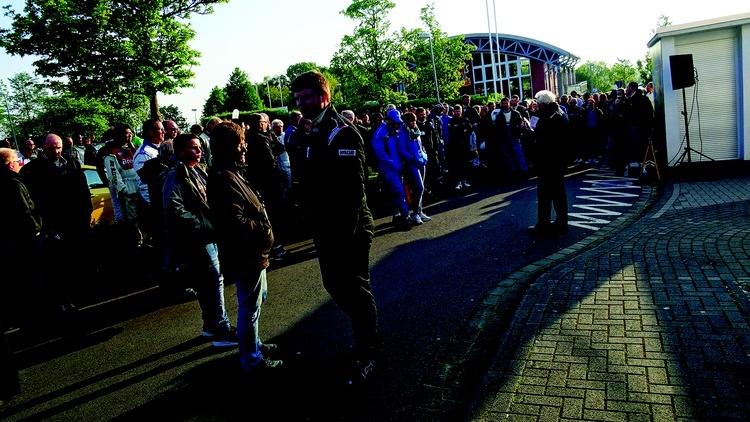 Although there were no real stakes involved, the significance of the venue created enough pressure to form a true sense of urgency. As I prepared to get in the car, I could only hope that none of the Nürburgring mascots would come out and put a flying clothesline tackle on me as I headed toward the end zone and a lifetime of glory. As Gilles began his final lap on track and prepared to head into the pits, other events were set in motion. Team manager Uli Baumert informed the pit stewards that we would be performing a driver change during our stop, and showed them the official card he had filled out earlier stating that Gilles Neve would be starting the car and John Pasterjak (yes, I was John, because that is what’s on my passport and the Germans are very precise when it comes to identifying you according to your international identification) would be entering the car after the stop. The pit marshal looked over the card, initialed something, and waited for our snarling Audi RS4 to enter the pits. Once we were stopped, the marshal stuck around to ensure that our stop was completed in a safe manner and that the person identified on the driver change card was the one who was belted into the car. It was all very similar to racing in the States, with a couple added layers of officiousness because a) the Germans like it that way and b) with 150 teams and nearly 300 drivers and a tight schedule to keep, chaos would be an unwelcome visitor. Gilles and I exchanged a few words about track conditions, traffic, probably some other stuff, too. After his first competitive stint at the legendary track, he was as star-struck as I was. Then, with my best Steve McQueen swagger, I swung my leg inside the Audi, lowered my shoulder… and promptly banged my helmet against the roll bar. Turns out with my helmet and HANS in place there was no way I was getting into the car that way. I stepped back, gave the Germans my coolest “I meant to do that” look, and clambered in head first. It was less McQueen and more Chevy Chase, but sometimes you have to improvise. The Rotek crew helped belt me in, adjusted my mirrors, closed the doors, and waved me out of the pit space. It was just like I’d done hundreds of times before, in a variety of different cars on racetracks all over America. I’m not sure exactly how the human brain does it, but it seemed like the time between the sound of the door closing and my exiting pit road lasted several hours–or, to be more accurate, several thousand thoughts. Not the least of which was the fact that I had never actually worked the clutch, throttle or brake pedals on the car I was currently sitting in. You know, the one I was about to drive competitively against other cars on the world’s most famous ribbon of asphalt. So here’s where I’ll pause to say that if you’ve harbored any sort of desire to do this type of thing, don’t wait. Stop talking yourself out of it. Allow yourself to experience your dreams for once; I can guarantee you won’t regret it. As I said, you’ll pay about the same amount to rent a seat in a race car at the Nürburgring as you would in the States. Sure, there are other considerations, like airfare and lodging and food and whatnot, but, hey, you’re in Germany. Have a little extra fun while you’re there and call it a vacation. Bottom line is you’ve probably spent more on one of your own racing weekends. So back to the action: Because we were using the full 24-hour course, the first couple of miles of my first lap would be on the Grand Prix circuit portion of the course. The Nürburgring’s Grand Prix course is exceptionally well maintained, wide, smooth, with plenty of run-off, braking markers, excellent sightlines and pretty much what an American would think of when the term “race track” pops into his head. It was an excellent place to get introduced to the competent and benign power delivery of the allwheel- drive Audi RS4. That’s a good thing, because as soon as you make that transition from the wide, smooth, predictable confines of the Grand Prix course to the Nordschleife, all bets are off; the sharks have been allowed to enter the shallow end of the pool, and you realize that whatever skill you thought you possessed was only an elaborate ruse perpetrated by a hyper-intelligent alien race whose only joy comes in seeing fat Americans panic. I’m at the point with the Nordschleife where I’m comfortable that I know the rhythm and flow of the track. Many trips to Germany for press events, tourist driving days and the like have all given me a pretty good knowledge of the basic approach to each section of track. But while knowing the direction and approximate speed and shape of the next turn is helpful, knowing the intricacies of such a complex stretch of asphalt is something that takes years of practice, trial and error, coaching, and sheer hard work and determination. I will say that all the hours I spent in the Gran Turismo and Forza recreations of the track were not wasted hours. Modern games and sims have extremely faithful reproductions of the track, down to a lot of the off-track visual cues that you will use for reference during a lap. What no simulation can convey, however, is the bluntly extreme nature of this facility: the claustrophobic narrowness of parts of the track, where it feels like the simple act of passing another car puts both of you in jeopardy, and the bumps, which are so bad on the front straight, they actually feel like they threaten to upset the balance of the car and spin you off into the guardrail. Nor can the sims reproduce the impact of the fans–who, even though we ran in a Thursday morning race in support of the main feature of the weekend, were stacked several deep at every fence. Even during our RCN event, those fans were in a constant state of exhilaration, and they cheered loudly as their favorite cars did battle for their pleasure. By midway through my first lap on the Nordschleife, I became comfortable enough with the Audi, and confident enough in my own knowledge of the track, that I was actually able to start passing other cars and dicing a bit with those that were at or near my own pace. It was probably just the huge gulps of adrenaline giving me superior situational awareness, but even on the chaotic asphalt roller coaster that is the Nordschleife, I never felt as though the situation was beyond my control. I attribute part of this comfort to the exceptional corner workers at the track. There are over 130 corner stations, each with at least two workers, and every single one of them is hyper-vigilant in communicating the situation on track to the drivers in an effective fashion. Rather than just standing there and waving flags, the marshals communicated through body language, eye contact, and highly expressive use of the flags. A glance at each corner station gave me as much information as a look in my mirror, and sometimes more. The on-track action was also conducted at an extremely high level. Since everyone was competing for lap time, not track position, there was a bit of a gentlemen’s agreement that everyone be vigilant to stay out of each other’s way. Faster cars were still responsible for making a clean pass, however, as slower cars did not need to yield the racing line. But slower cars would occasionally act in such a way as to allow the faster car a bit larger or more obvious window of opportunity. It also became quickly obvious how much of an advantage track knowledge was on a complex, chaotic circuit like the Nordschleife. I had a multi-lap battle with a Benz touring car that I could easily overtake on the more straightforward GP circuit. Shortly after making the transition to the more technical Nordschleife, however, he would be by me in short order. He actually became a fantastic rabbit for me to learn more of the secrets of that twisty ribbon of asphalt, and each subsequent lap saw me passing him earlier on the GP course, and him passing me later on the Nordschleife and pulling less of a gap. After the final lap, we exchanged a firm handshake in the impound paddock. I think he had kind words for me; he was smiling, anyway. As if the on-track activity wasn’t scary enough already, we also had to contend with the additional frustration of speed-limited areas. Due to the recent horrific crash of a GT3 Nissan, speed limits had been posted in certain areas of the track. These limits were high–some slower cars could not even approach the 220 kph (about 135 mph) limits in some of the areas–but some of the faster cars, including our Audi RS4, had to back off to make sure we were under the limit. It was a bit of a clunky solution to a horrible tragedy, and it looks like there will be changes for 2016 that will allow the full track to go back to green again. At the race’s end, competitors report to impound and quickly get the hell out of the cars. They’ll soon be parking the next one too close for you to get your door open, so you’ll have to do your decompression elsewhere. 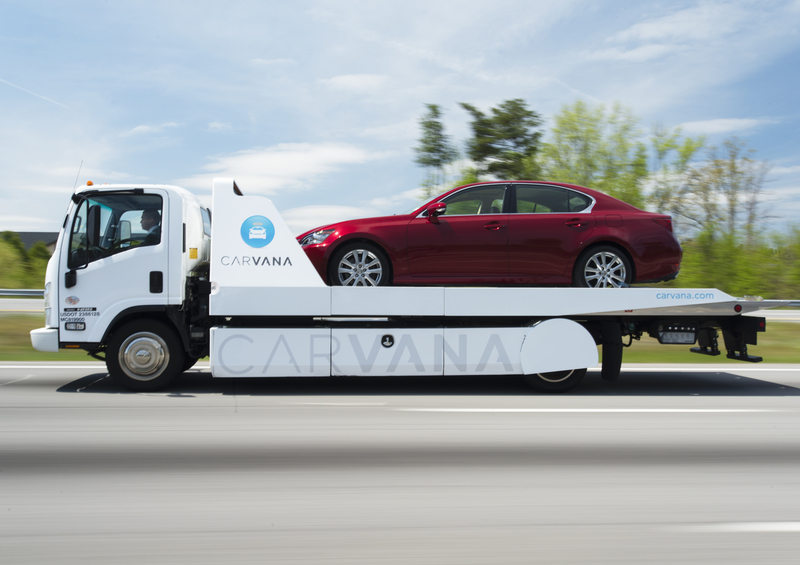 You’re also expected to get away from your car, as impound is closed to competitors until the results are final. As the lone American in the race, I got more than a few handshakes and even signed a few autographs for the scores of fans that were milling around the paddock area after the event. German fans take their racing seriously at every level, and appreciate the people who put on a show for them. Wrapping up a story like this is difficult. Much like the experience itself, I don’t want it to end. 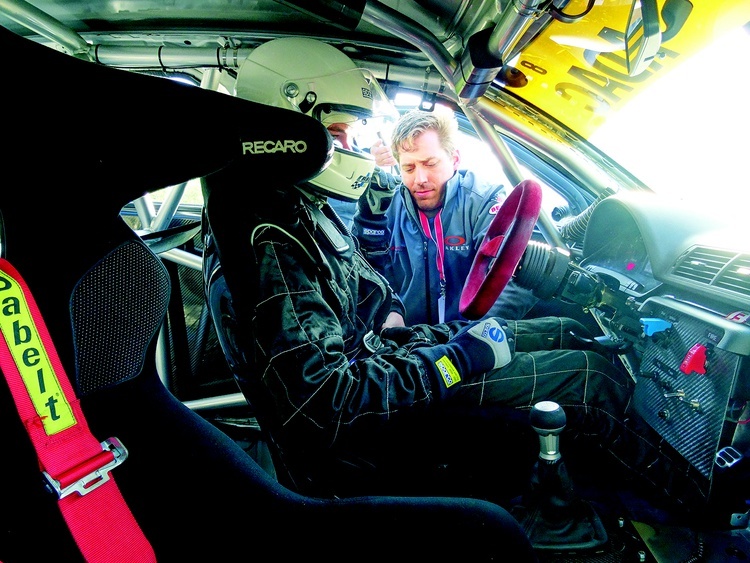 I suppose the takeaway message is that if you really want to experience all that motorsports has to offer, do not be shy about experiencing it outside of your usual comfort zone. You may find that what you once thought was a dream is highly attainable. And if you’re worried about being a “foreigner,” just walk around the impound paddock for a while. I had no idea what most of the other drivers were saying to me after the race, but the smiles, the hand gestures, the sweaty, rumpled helmet hair, and the all-inclusive feeling of community were rather universal. "... They’re basically your Mr. Roarke for this particular fantasy." I had to read that twice. From my math, anyone younger that 34 years old wasn't even born yet to understand the reference, so people maybe older than 44 or so might (not sure about the rerun schedule). So by some luck, your reference still works, given the demographic of the potential audience. Thanks, you've been great, I'll be here all week.